TAD & Associates Products | Mason-Dallas Inc.
Mason-Dallas is proud to offer TAD & Associates’ products. 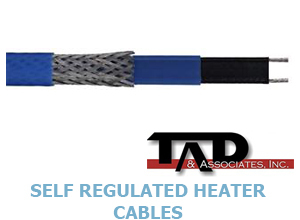 TAD & Associates, Inc. was established in 1984 for the purpose of providing wholesale distribution of self-regulating and manufacture of constant wattage heating cables. Our mission is to provide an inexpensive alternative to costly heat trace from much larger manufacturers while continuing to provide design assistance for small and large scale heat trace projects. Self-Regulating Heater Cables. Self-Regulating heating cables are unique in that they have the ability to vary their power ouput along the entire length of the circuit in response to ambient temperature changes. As the temperature decreases the cable will respond by increasing power to compensate. Self-Regulating heating cables are ideally suited for freeze protection and process temperature applications. Click on the link below for more details and ordering information. Constant Wattage Heater Cables. Constant Wattage heating cables deliver constant power output along the entire length of the circuit. The advantages of constant wattage are even power distribution and predictable current. 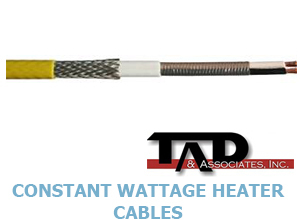 Constant wattage heating cables are ideal for freeze protection and process temperature applications. Click on the link below for more details and ordering information. 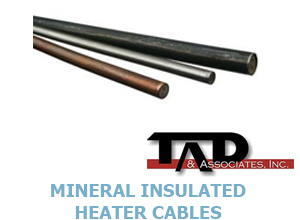 Mineral Insulated Heater Cables. Mineral Insulated (MI) heating cables offer very high power output while providing protection against extreme heat, corrosive chemicals, and impact abrasion. MI heating cables are ideal for process temperature and certain freeze protection applications. For more details and ordering information click on the link below. Controls. 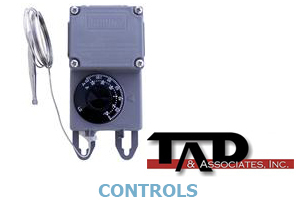 We provide a number of thermostats and custom engineered control panels to control any type of heat trace application. For more details and ordering information click on the link below. Accessories. 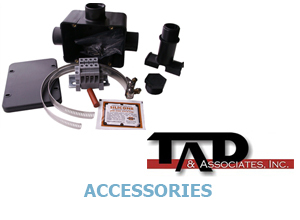 Accessories are an important part of a heat trace circuit and careful consideration must be observed when choosing the right termination kits. Several important considerations should be made when selecting accessories such as pipe composition, maintenance temperatures, area classifications, application type, approvals, etc. TAD & Associates here to help you make those important decisions if the selection process seems too daunting! 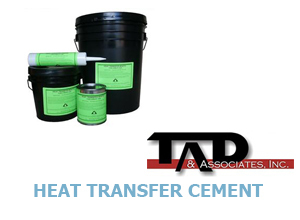 Heat Transfer Cement. Heat transfer cement is designed to significantly improve heat transfer between steam or electric tracer and process pipe. Heat transfer cement fills in the air cavities that naturally exist around tracers and the curvature of pipes. This method is called the fillet method and ensures that a good mechanical bond exists between the tracer and pipe and improves heat transfer by conduction instead of convection. Using heat transfer cement can significantly reduce the number of tracers needed for process temperature applications where traditionally multiple passes of tracers are needed to replace heat losses.